We are offering a quality range of designer & fancy scarves that is crafted using quality fabrics. 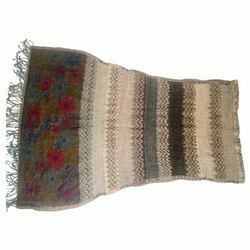 These inexpensive and stylish designer & fancy scarves are in conformity with latest trends in the market. Available in appealing colors and patterns, our complete array enhances the look of the wearer. 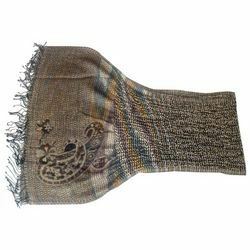 Moreover, these designer & fancy scarves and cotton chenille stoles are widely appreciated for color fastness, soft fabric and neat stitching attributes. 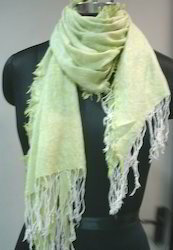 We are offering Designer & fancy scarf (FC-SH 16) that is a woolen stole with lycra & embroidery. These designer & fancy scarves exhibit individualistic style and uncompromising quality that is appreciated by our esteemed clients. Moreover, these designer scarves are available in 50 x 180 cm that can also be customized as per the requirements of our clients. Our complete range of designer & fancy scarves (FC-SH 4) is made using lycra fabrics and embroidered with quality threads. 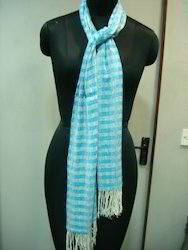 This scarf is available in various sizes and can easily be worn at any occasions. 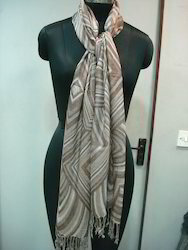 These designer & fancy scarves of 50 x 180 cm can also be tied around neck or can be carried as stole. These are easy to wash and are available at competitive prices. We provide cotton chenille stoles. 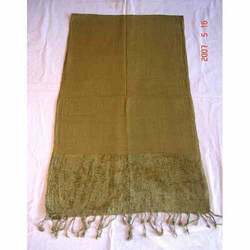 It is a light weight cotton stole with borders made with chenille. The size offered includes 55x180 cm, 70x200 cm & 100x100 cm. These stoles can be made available in any color from our shade card. 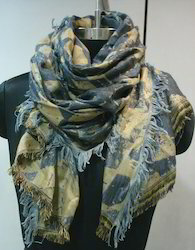 Offering a wide range of trendy & designer scarves in a variety of fabrics, styles & colorways. Design : Numerous designs to choose from. Offering a wide range of summer scarves in a variety of fabrics, styles & colorways. Looking for Designer & Fancy Scarves ?